Well, we know collagen is very important to keep looking firmer and younger but due to the bad lifestyle and stress environment plus Malaysia is a hot country, we tend to earlier to let the collagen leave us. And that's the reason why collagen been so popular in the market no matter as a supplement or as makeup and skincare ingredient. Because collagen is the key to restore the young looking face. Collagen acts like a filler; helps to give strength to skin cells and boost the skin elasticity. When your face enough of elasticity means fine lines and wrinkle will slowly reduce and that is one of the key looking younger. Frankly speaking, I have tried many collagen skincare or products BUT this is my first time trying out 100% pure collagen with 0% parabens, preservatives, colour additives,synthetic ingredients, harmful toxins, fragrances and impurities. And this is the reasons why I'm so exciting to try out and share my thoughts in here. 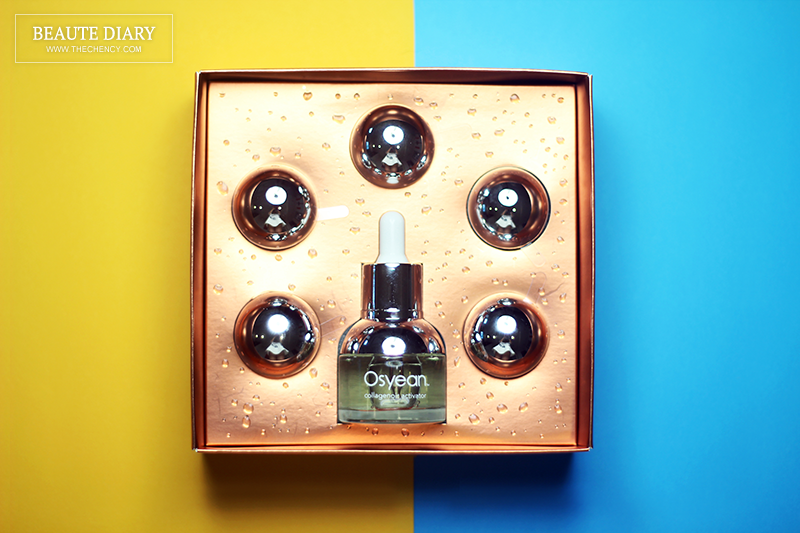 The product called Osyean Oceanlogy Collagenoir Essence. 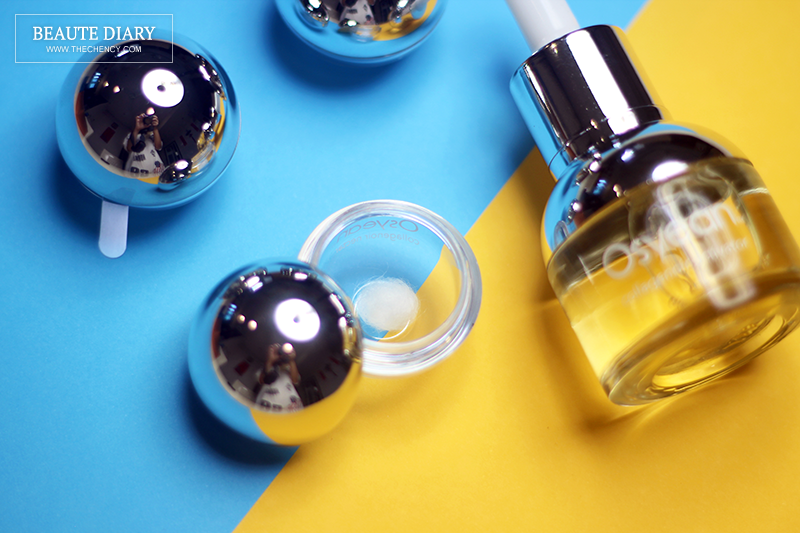 Osyean Oceanlogy Collagenoir Essence is 100% pure collagen and uniquely extracted from Japan. It's claimed that is 1.5 times more absorbent than other collagen sources, provides more moisture concentration for younger looking skin and assists against daily stress, sun exposure and damaging free radicals to renew skin texture. The triple helix structure contained within Osyean carries the same structure as human collagen and is very stable in high temperature, allowing effective penetration into skin and the ability to highly moisturise the skin. 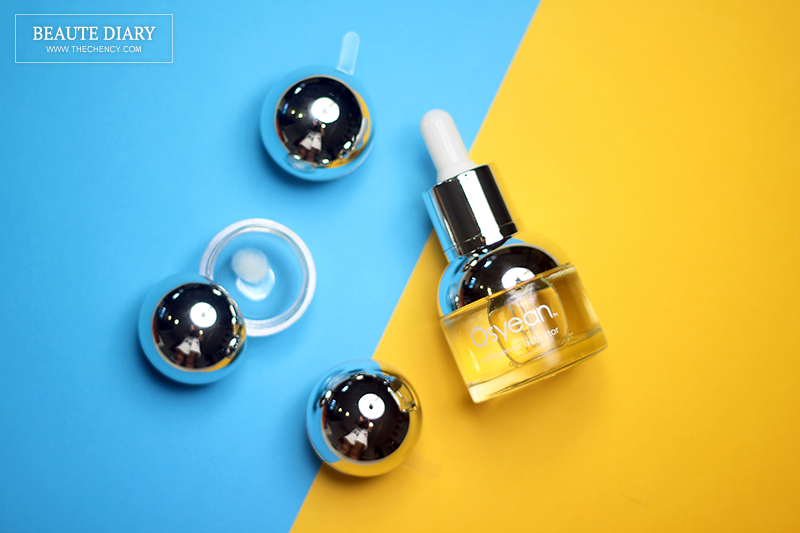 One single dose will give your skin the concentration that is equivalent to three months of regular collagen serum. The brand is also approved by the Ministry of Health in Malaysia. The packaging is too die for~ Yes! Im'ma sucker to packaging. Looking at outside, you will immediately know that's something about ocean because of the waves pattern. Then, when opened, is a beautifully orange-gold color with some fake water trace that makes everything looking so classy and elegant. It's look like a perfect gift box. 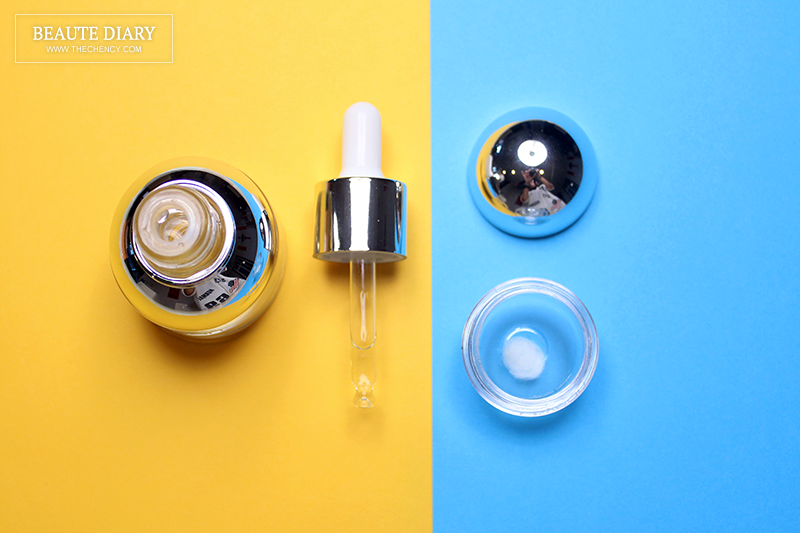 Inside has 5 sphere shaped collagenoir nectar with a bottle of collagenoir activator that are nicely set in place so with zero-breaking worry. 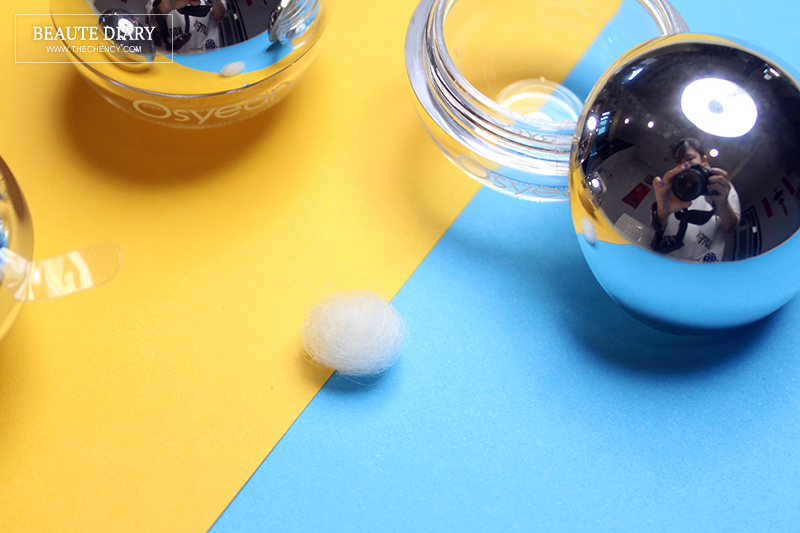 Collagenoir Nectar is like a cotton silk ball inside the sphere containerw with perfectly sealed. It is actually 100% pure collagen from Japan. One bottle of nectar only available for one usage because it's contains no chemicals or allergens so please do not keep it for next usage or else you will totally wasting the powerful benefits brings to your skin. This need to be activate by dissolve; dropping few drops of Collagenoir Activator and let's the cotton ball melted. Yes! It is tiny but yet even more powerful than other collagen by just only one single dose concentration. 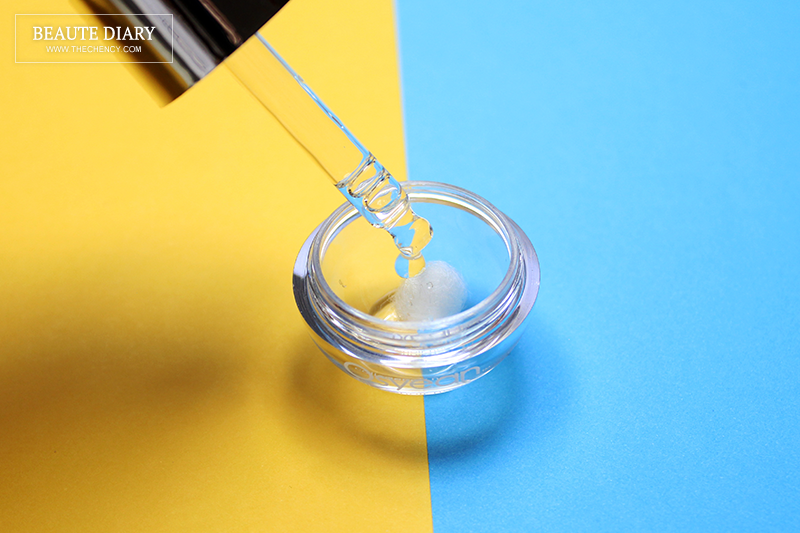 Collagenoir Activator is a gel-watery texture of essence to dissolve the collagenoir nectar (collagen) and also can be use as single everyday essence. 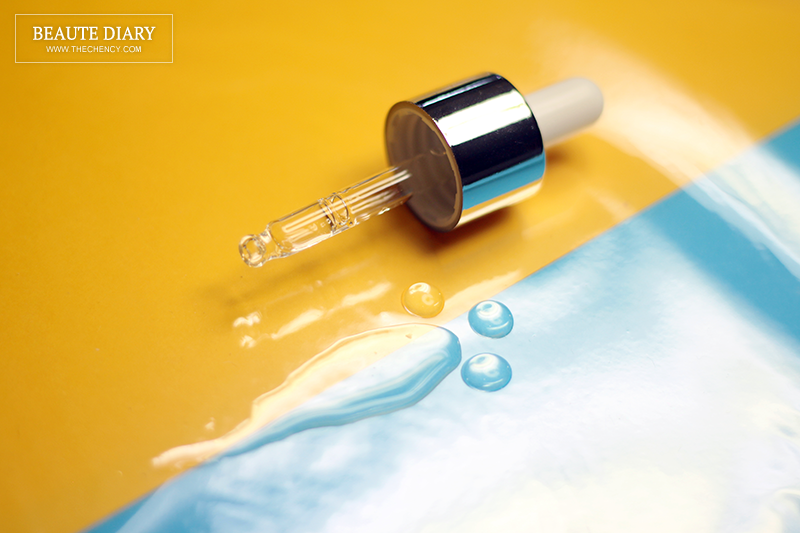 The texture of this activator is water-gel texture; pretty much like typical essence texture but it is contains super enriching Vitamin C (absorbic acide) which helps to reduce acne breakouts, brighten, lighten and smoothens dull and stressed out skin. Like what I have mentioned, Collagenoir Nectar has to be activated by Collagenoir Activator by just dropping few drops into the bottle and let's it dissolve. It is advisable to fill the activator into the bottle until one-third full. Then using your hand gently poking the ball or just let it dissolve itself until the cotton ball completely disappear. Lastly, gently massage until the essence completely penetrate into the skin. Is time for DIY❤ Depending what kind of texture you personally prefer, you can control the amount of activator to be used. 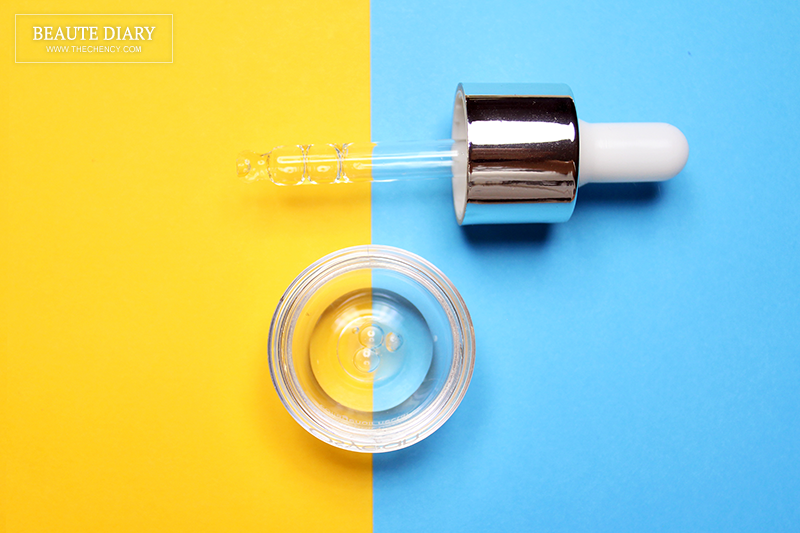 If you're preferring something more concentrating like gel jelly-kind of texture, drop 2 to 3 drops of activator. If you're feeling wanna something more light, go for 4 to 5 drops of activator. It's all about your personal preference. Let's talking about the result. I only left one collagenoir nectar means I have been trying this product for four times. So far I never having any itchy, redness or flaming problems. It is pretty sticky (depending how concentrate you prefer) and it's actually pretty calming to skin. When done massaging, my skin feels so tight and firm up. The biggest improvement is my skin texture and acne scar.My skin texture feeling definitely smoother, not that rough anymore and my makeup apply meekly. My pores become finer and acne scar less visible. My skin looks less dull and it gives me a healthy glow. 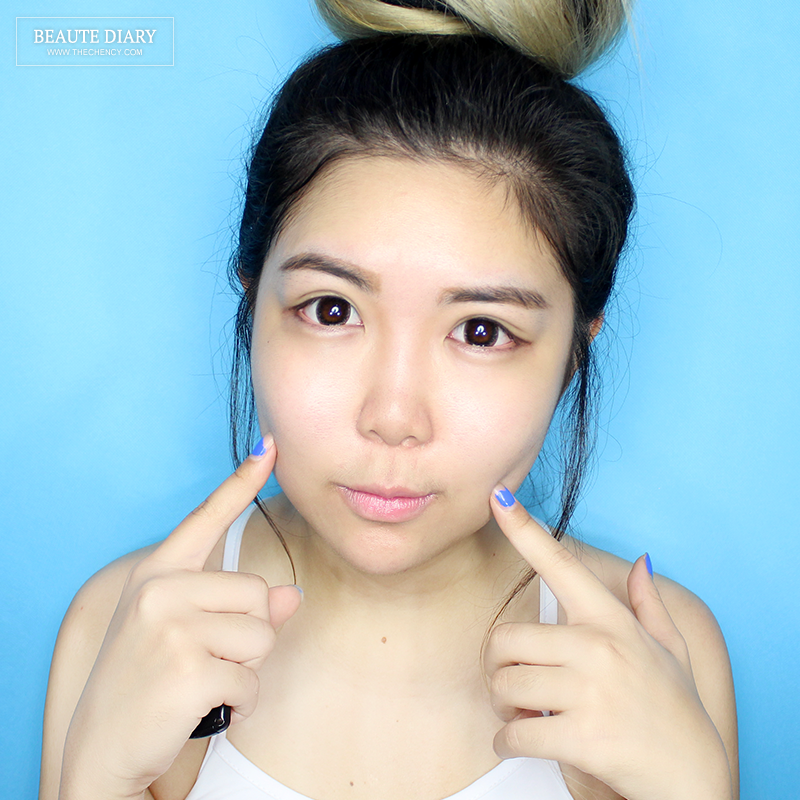 Another part that I love is reduce my puffiness problem especially my eye area. 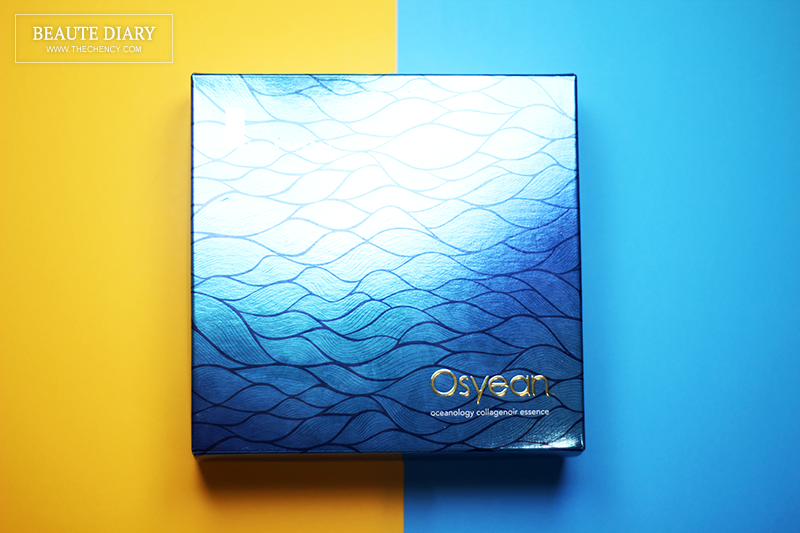 Osyean Oceanlogy Collagenoir Essence is 100% pure collagen; collagen cotton ball that need to be activated by the activator. 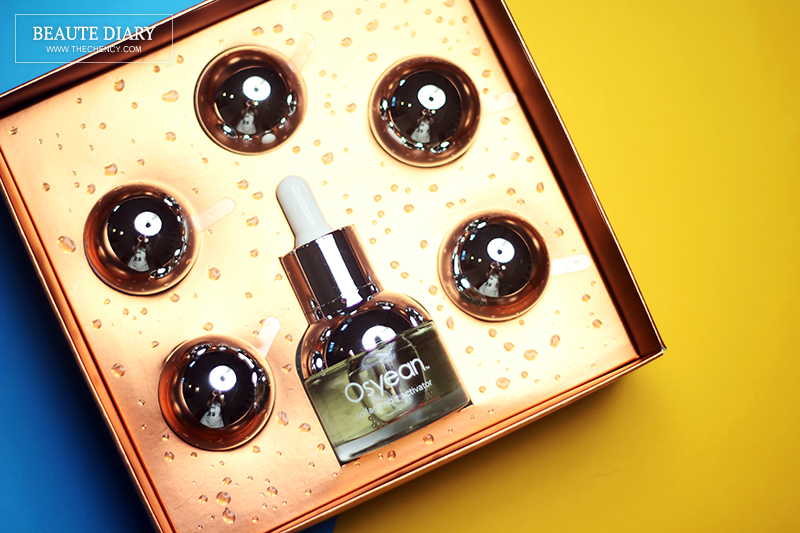 It contains 5 Collagenoir Nectar with a bottle of Collagenoir Activator which each nectar has to be used up in one time, one time per week means is a weekly special treats but the Collagenoir Activator can use as daily essence before moisturizer after toner / lotion. I like the 100% natural of this product and the biggest improvement after four times (four weeks usage), my skin texture improved while the pores and acne scar reduced. I also love how this product is safe to use on the eye area as well. It's retail at MYR 488 per box but now they do having the debut rebate of MYR 100 off for each box. Do check out their facebook page too as sometime they having amazing prize too. Is definitely a dupe as you can get 5 collagenoir nectar and a 30ml bottle of collagenoir activator which can be use a daily essence too. You can purchase online at Osyean's Store. Me too loving this product with its 100% pure ingredients! 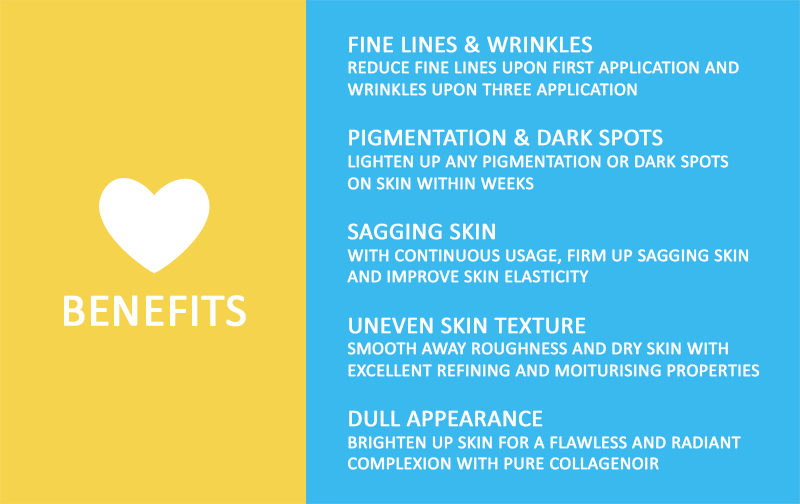 collagen is important to keep ourselves look young and youthful! thanks for sharing this product. this product no try yet, it looks suitable for you. I want to have smooth skin too. The packaging is so advance! Love its cool and wish to try soon. 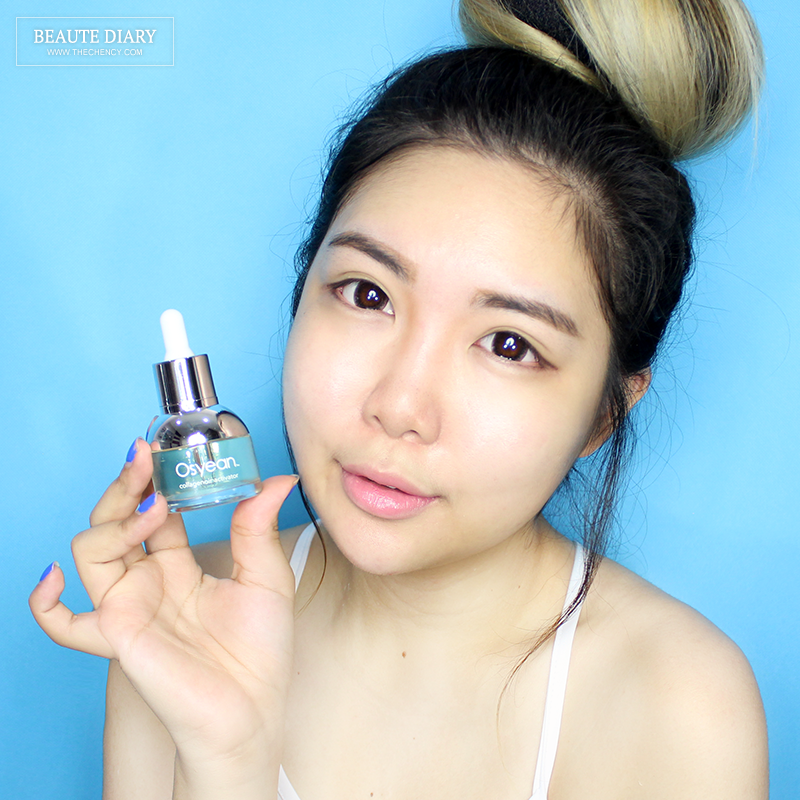 I really need Osyean Oceanlogy Collagenoir Essence to reduce the wrinkles at my face. Want to looks young again. Never heard of this brand but it looks so premium... Thanks for sharing. I love natural ingredient product a lot. Looks like it very hydrating and plumping, I cant wait to try it out. Lovely Post I read on this blog which give me a real concept How to Protect the Skin. Just would like to say a word "Thanks".